Born in England, Elizabeth Blackwell was educated in her early years by private tutor. Samuel Blackwell, her father, moved the family to the United States in 1832. He became involved, as he had been in England, in social reform. His involvement with abolitionism led to a friendship with William Lloyd Garrison. Elizabeth Blackwell, her two older sisters Anna and Marian, and their mother opened a private school in Cincinnati to support the family. Elizabeth became interested, after initial repulsion, in the topic of medicine and particularly in the idea of becoming a woman physician, to meet the needs of women who would prefer to consult with a woman about health problems. Her family religious and social radicalism was probably also an influence on her decision. Elizabeth Blackwell said much later that she was also seeking a "barrier" to matrimony. 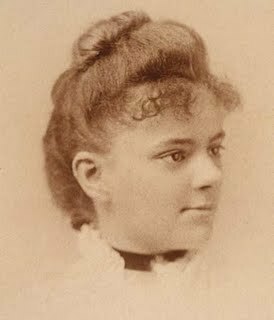 Elizabeth Blackwell was born on February 3, 1821 in Counterslip Bristol, England to become the fourth of the nine Blackwell children. Her nickname was Bess, but her father called her "Little Shy." While she was growing up, two of her brothers and six of her sisters died. Eight of her cousins shared the same fate. Elizabeth vowed to become a doctor to babies and women. Her father Samuel Blackwell was a rich sugar merchant at the time. He usually wore a pure white suit to work to match the fine sugar he produced, but he wore a black suit at church. He and his wife Hanna encouraged equalness between their boys and girls and unlike most girls of Europe, Elizabeth had an education to match any boy’s. One night, when Elizabeth was eleven, a raging fire destroyed her father’s business. By that time the family was so poor, Samuel decided they would go to America and start over. After all, America is supposed to be the land of golden opportunities. As she looked out over the vast ocean while holding her sister’s hands, she was thinking about what the future would bring in America. When the family reached New York, Mr. Blackwell tried to start a new sugar business, but he could not bear selling sugar made by slaves! "Black slaves deserve to be free! How can I carry on a business that is formed upon human misery?" But it was the only business he knew. In 1837, the family moved to Cincinnati, Ohio. Not long after, Samuel Blackwell died. After her father passed away, Elizabeth at the age of 16, had to go to work. Her mother, her siblings, and she had to keep the family alive so they opened a small elementary school for black children. Elizabeth Blackwell was the first woman to become a medical doctor in America. She was born in England in a time when women's career opportunities were almost entirely limited to housewife, nurse, or schoolmarm, but her parents had the radical notion that their daughters should receive the same education as their sons. In her teens she came with her family to America, where her father died soon after settling in Cincinnati. To make ends meet, Blackwell's mother opened a school where Elizabeth and her sisters taught, and she saved as much as she could toward her dream of attending medical school.